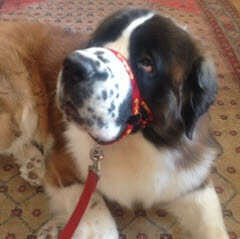 Thank you so much Berties collar has arrived and fits perfectly. 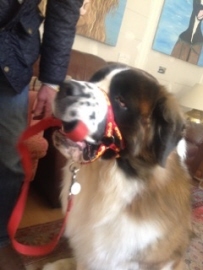 We took him to The Game fair at the Norfolk show ground yesterday where we met a lady with Newfoundlands who also raves about the head collar so you have quite a fan base here in Norfolk!!! I have attached the pictures of Bertie as promised.